1. 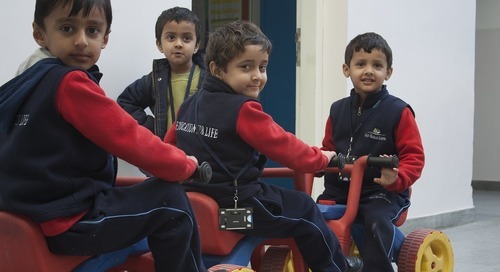 Shiv Nadar School’s approach to education is “Education for Life”. What does it mean and how do you implement it? Education for Life means preparing young adults for real life situations. Apart from the ability to succeed academically and do well in examinations, children must have the necessary skill set to live happily in the world. This encompasses the ability to communicate effectively, collaborate with other people and be capable of identifying and solving problems. It also means nurturing students who are both socially and emotionally adept. 2. 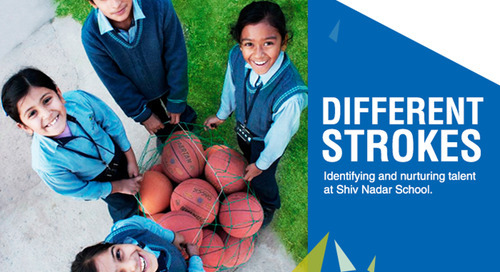 Shiv Nadar School pays special attention to individual talent in students. How important is it to create such as environment for children in school and how can one do this? As is understood, we are a child-centric system of education. What this implies is that we realize that each child is unique and comes with inherent abilities of his or her own. Our task is first, to identify this innate skill/talent/aptitude in a child, and then to build programmes which nurture that talent. 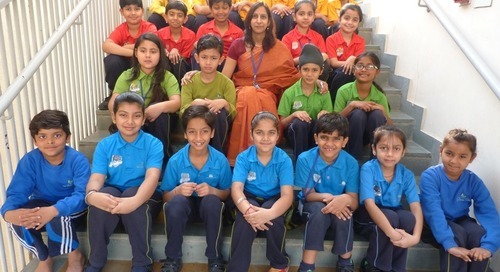 For us, it is not a nature versus nurture situation, rather, we try to blend these two strains to help students develop into confident, skilled, responsible and conscientious denizens of the world of tomorrow. 3. Has classroom learning become less relevant? 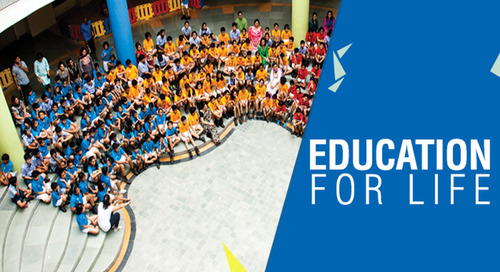 How are schools adapting to this changing scenario? I wouldn’t say classroom teaching is irrelevant. In fact, with the enormous explosion of facts and knowledge around us, teaching is more relevant than ever to give context to all the data staring us in the face. It is true, however, that traditional teaching methodologies need to undergo radical changes to adapt to the pace of progression of the world. Teachers need to be up-to-date with latest pieces of information. Classrooms need to become more interactive. Students need to be tested with projects which have application in the real world. And along with instilling soft skills in students, innovation and experimentation need to become buzzwords in the class. 4. What has been your biggest lesson in life? My biggest lesson in life is a quote from one of the greatest Field Marshals of the Prussian army, Helmuth von Moltke, which says, ‘No plan survives contact.’ What it means is no matter how well you plan for anything, be prepared for it to go haywire when things actually happen. This is my learning from the military days, but it is true in every aspect of life. Once you have internalized these wise words, you will be prepared for the unexpected, for the difficult situations in life. It doesn’t mean you don’t plan, but that you plan in so much detail, the surprises do not upset you. You plan for contingencies as well and are prepared to face failures and not be disheartened by difficulties because there is still a mission to accomplish.